The cord TULP-bracelets in Sterling silver or in 18 karat PINK GOLD. Less is more, no need to introduce a simple, fine and smart jewel which fits just any outfit and combines with just anything or occasion. 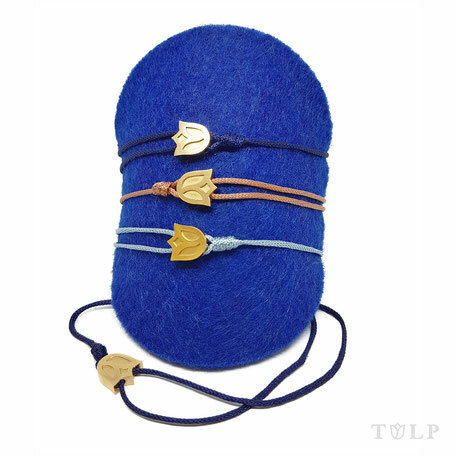 Wear the TULP-bracelet 'twenty-four-seven'! The polyester cord is knotted tightly to bangle securely on the wrist! The Silver TULP-bracelets were introduced in the month of June 2018, now the 18 karat golden steal the show!